With an intended jolt and volt of energy, Yolt, a new money platform backed by ING, has launched its open beta for iOS and Android in the UK. The app has been tested in closed beta since October last year, and is now ready to invite more people to the platform. Yolt enables users to view their bank accounts and credit cards in one place, see what shops they’re spending the most (and the most often) with, set budgets and plan for upcoming debits. 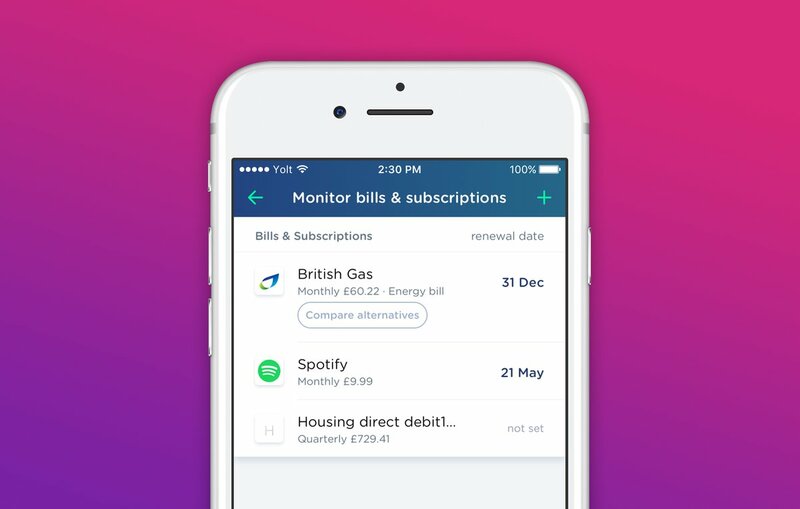 The firm will partner with other fintechs to add new features to the app, starting today (1 June) with an energy price comparison offering from London-based start-up Runpath. On its website, Yolt says its second partnership is with Moneytis. It met this firm while sharing an office space at the ING innovation centre in Amsterdam. Moneytis aims to become the “Booking.com of international money transfers”. Moneytis’ money transfer service is unavailable in Yolt but they plan to release it an unspecified date later. Yolt is also open to other partnerships with fintech start-ups. Last year, ING pulled a plug on its peer-to-peer (P2P) mobile payments app, Twyp, in the Netherlands. This was due to the lack of customer uptake, the bank said. Integration galore – it's all about open banking. Early bird users get it to a lovely place. Anorak follows in the path of Runpath and Moneytis. Betas, big numbers and the big match. Our latest payments round-up features Emma Technologies, Yolt, and Visa and the football World Cup in 2018. ING-backed money app on a high on the high street.